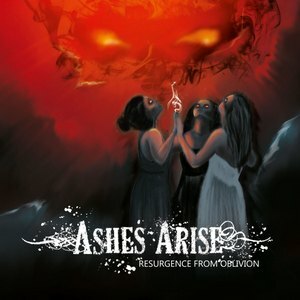 The latest example of a random find from Bandcamp searches, Ashes Arise is an all-female melodic death metal band. An international act with members from both the United States and France, Resurgence from Oblivion is their first effort. Those in the mood for catchy melodies and strong vocal hooks will find Ashes Arise right up their alley. Taking elements from the older, Gothenburg-esque days and inserting a modern edge, Resurgence from Oblivion is the type of album that can find equal appeal from both parties. The guitarwork and sheer number of melodic hooks is more than enough to cover the cost of admission, and each track has at least one memorable riff that will stick in your head after listening. The consistent quality in this department (see “Sleepwalker” or “Awakening” if you require proof) is the band’s most endearing quality, but it’s not all they succeed in. Vocally, things stick more to the raspy variety, but clean vocals are used as well (thus the modern edge referred to earlier). The harsh vocals are about what you’d expect, and the clean vocals are a bit more raw and emotional than a simple poppy take. “The Countess” does a good job of introducing them, and they feel akin towards the Alissa-years of The Agonist in some ways. The cleaner sections tend to give off more atmospheric qualities at times but they never abandon the old school melodeath zone. It’s an all-encompassing package – the straight melodic death metal take is one that this scribe never tires of, and the vocal variety and occasional dips into more atmosphere keeps it feeling more fresh over the near 55-minute runtime. A thoroughly enjoyable debut from Ashes Arise. They don’t stray too far outside of the melodeath comfort zone, but they do know how to effectively play to the genre’s strengths. There’s not nearly enough bands of this style that remember to bring the thrashy energy (and do it well). To that end, Resurgence from Oblivion is well-worth looking into.